The living room is the centre of many family’s lives, so it’s no wonder people can get a little obsessive about kitting them out with everything to make time spent there as enjoyable as possible. Greater immersion for movies; a bigger picture size; fewer remote controls; cord cutting – this is what home theatre is about. Prices for these gifts range from $35 to $3500, so you’re sure to find something here to suit every budget – and given that a home theatre nut probably already has the best surround sound available, I’ve stayed away from that rather obvious choice of AV receivers or speakers. So what do we have? Your own personal 3D movie theatre – the Sony HMZ-T3W headset will probably make you look stupid – but who cares when you’ll be looking at the equivalent of a 750 inch screen from 63 feet away. Built in 7.1 virtual surround, this headset will take any 2D or 3D HDMI input – movies or gaming – and immerse you with a huge screen. I’ll let you in on a little secret: we blew the promotions budget right out of the water and all agreed we absolutely must give one of these away – so look out for a full review and competition soon. I reviewed the previous version of this before Optoma GT750 3D Gaming Projector Review and Giveaway Optoma GT750 3D Gaming Projector Review and Giveaway I love projectors; I have fond memories of nights spent in front of the projector with all my housemates, as we snuggled under the kotatsu (a Japanese heated table thing) and settled in to watch... Read More – the GT750 – and was utterly blown away by the size of the screen. It literally filled my entire wall – my living wasn’t big enough, apparently. TVs just don’t compare – for a huge screen that everyone can see, you really do need a projector. The Optoma GT760 handles 3D content with active shutter (glasses not included), and is superbly bright at 3400 lumens so you needn’t turn off all the lights. The ultra-short throw lens means you can still get a huge projection size even when placed close to the screen, unlike traditional projectors which had to be placed right at the back of a room. 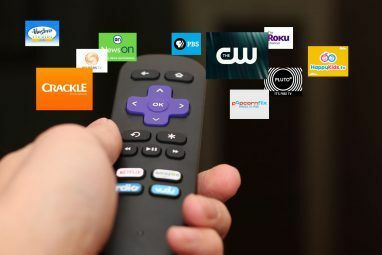 With over 750 channels available for US, the Roku 3 is a true cord-cutting device at a super affordable price point. Sadly, there’s still no official YouTube app and streaming your own content is difficult (there is a Plex channel available though). Uniquely, a headphone jack is included on the side of the remote, so you can listen in peace when the in-laws are visiting. We have a full review of the Roku 3 Roku 3 Review and Giveaway Roku 3 Review and Giveaway As more content becomes available online, the need for a traditional television subscription may not be enough anymore to justify the costs. If you’re already subscribed to services like Netflix or Hulu Plus, now may... Read More here. Netflix is one of those things that you don’t realise how awesome it is until you actually have it, and it just keeps getting better with more content added daily – and even some of their own exclusives now, too. 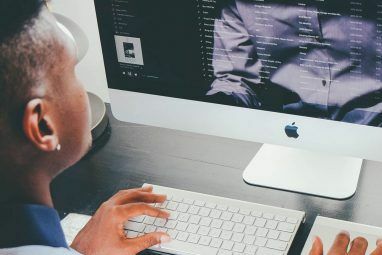 If you’re buying from the UK, I strongly suggest also buying a subscription to a region unblocking service 2 Effective Ways to Access Region-Blocked Videos Without a VPN 2 Effective Ways to Access Region-Blocked Videos Without a VPN Internet users outside of the United States are blocked from accessing the wealth of streaming video and music content available to Americans. Even Americans are deprived of international services like BBC iPlayer. Faced with this,... Read More such as UnoTelly (reviewed here Bypass Regional Locks with UnoDNS from UnoTelly [Giveaway] Bypass Regional Locks with UnoDNS from UnoTelly [Giveaway] >Are you frustrated by the international blocks that stop you from watching Hulu? Are you a UK Netflix user, annoyed that the American selection of movies and TV shows is orders of magnitude larger than... Read More ), which will give you full access to the US Netflix selection with no loss in streaming speed. No theatre is truly complete until you have some official theatre recliners, like this contemporary styled sleek black “Coaster” 3-seater on offer for $1250. Cup holders for your 40 ounces and adjustable headrests mean you can slide back and watch the show in ultimate style and comfort. No guarantee you’ll want to get up again though, and that Christmas dinner isn’t going to cook itself, you know. I used to think all-in-one remotes were devices made for the truly lazy – until I added some bits to my home cinema setup, and soon enough found myself with no less than five remote controls that all needed to be used for the simplest of task. And then lost one of them. Worse, I had to spend hours teaching the wife which controls did what function on which device. Arrrgh! The Logitech Harmony Ultimate is the most powerful programmable remote, ever. The touchscreen controller means you can set up customizable instant access buttons for your favourite channels or device, a single press of which will turn them on, switch over to the right inputs, change the channel, and even adjust the lighting How To Control Your Custom RGB Lighting From a Harmony Remote How To Control Your Custom RGB Lighting From a Harmony Remote If you own a Harmony Remote, you're probably aware that they can now control the Phillips Hue "connected bulb" - a wifi enabled but extortionately priced $200 LED lightbulb set. But did you know your... Read More . Truly, an astonishing and time-saving device – though you will need to invest some time in programming it using a computer. Having reviewed one last year Logitech Harmony Ultimate Review and Giveaway Logitech Harmony Ultimate Review and Giveaway Your living room is chaos - admit it. You're forgiven for wondering which remote controls which device. What with the TV, amplifier, TiVO, BluRay player, maybe even the lighting - switching activities becomes a long... Read More , I’ve got to be honest and say I really regret giving it away. In fact, I might get one for Christmas myself. AmbiLight is an incredible technology by Phillips that creates dynamic lighting behind a TV: a pleasing visual effect that corresponds to the colours on the TV, lessening eye strain and immersing you in the action. It looks as though the TV image is being projected out the back, but really there’s a number of LEDs analysing edge colours and replicating those. You could buy a whole new TV from Phillips that integrates this technology, or you could try your hand at at AmibiLight DIY clone such as this one which uses a Raspberry Pi and commonly available RGB LED strips, though you’ll need to be pretty technical to get it all working right. Transmitting content wirelessly from a mobile device or laptop to your TV is complicated – there’s no denying that, but the Google Chromecast makes it easy. Simply slot into an HDMI socket, then begin broadcasting from any Chrome browser tab or compatible application – such as Netflix. Currently includes $6 Google Play credit for a movie rental, so this would make a great little stocking filler. This little selection should suit a variety of home setups. 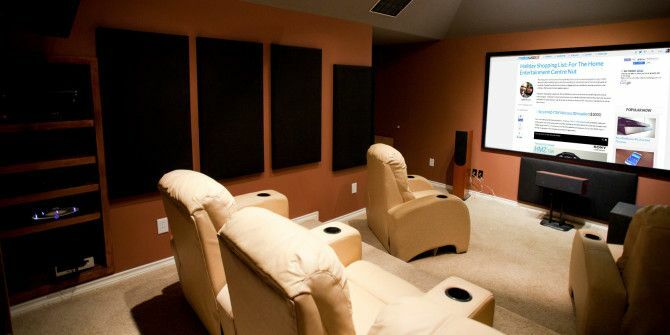 Do you know a home theatre nut, and if so, what would you buy them? Explore more about: Buying Tips, Home Theater, Media Player, Television. I really think it's insulting to call the Roku devices acceptable media streamers. The Youtube problem is just too big of a hole. Yes, Plex support is a workaround, but how many people have a Plex Media Server running someplace? Too much stuff just goes on Youtube, particularly given the integration between its app and pretty much every mobile device. My all-time favorite STB is the LG Smart TV Upgrader, which works with pretty much every "name brand" streaming media service AND talks to Windows, Mac and Linux file servers AND has a local card reader for media AND handles DLNA properly AND has a native Plex client. Unfortunately, LG stopped making them in 2011 so if you want one you'll have to go get it off Ebay. Another often overlooked tool for Home AV is the proximity and utility of network connections. Most decent hardware at this point supports 802.11, but that doesn't mean 802.11 is a good way to connect those devices to the internet. Instead, I suggest looking at a Homeplug switch kit like this one to get proper, reliable wired connections in the place where they're needed. Finally, I've set up a couple of these Zyxel NAS boxes for people. 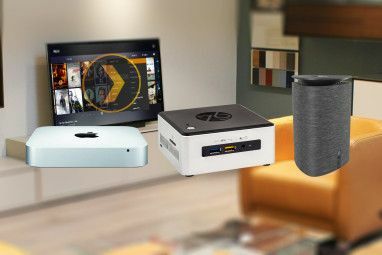 You need to be a bit of a gearhead to get the most out of them, but they serve pictures, music and video stored on them via DLNA, which is natively supported by crap-tons of electronics, operating systems and mobile devices. They're a cheap way to get a media collection to a place where people can enjoy it.